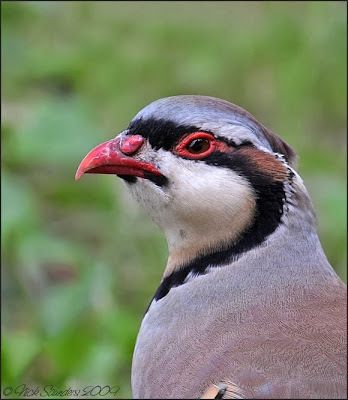 Yesterday , I was given the heads-up that a Chukar had been seen in downtown Saskatoon, by a local resident who had seen the bird perched atop a shed roof. This morning my friend and I spent awhile trying to find it, then had success, locating it on the edge of a park, in the company of a Gray Partridge. The bird did not have any leg bands, so who knows where it originated from. 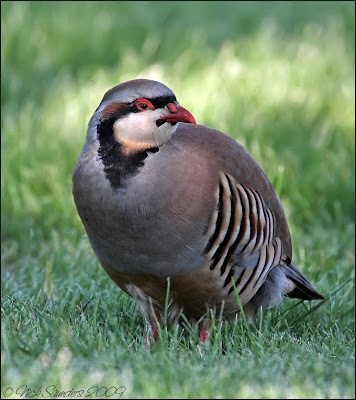 This partridge has its native range in Eurasia, from India, Pakistan and Afghanistan in the east to southeastern Europe in the west, and is closely related and similar to its western equivalent, the Red-legged Partridge, Alectoris rufa. It has been introduced widely for game hunters, and became established in the United States Rocky Mountains, Canada, New Zealand and Hawaii. In Great Britain, hybrids between this species and the also introduced Red-legged Partridge are common. Chukar prefer rocky, steep, and open hillsides. In the United States, Oregon, Nevada and Idaho lead all other states in terms of feral chukar populations and harvest. However, they can be found in almost all the western states in isolated populations. I've never heard of a Chukar but it sure is an attractive bird..such linear patterns around its face and I do love that eye ring..even if it is pinkish..I can see why you would spend a lot of time hunting for this rare bird..great shots and Congrats on finding it..must have been quite thrilling to finally spot it!! He was in the company of a Gray Partridge , so is clearly sticking to hanging around with members of the same family of birds. He is an exotic looking bird! I read about birds being introduced as gaming species years ago in the rockies. I guess this is one of them. He is very striking. Gorgeous bird, excellent photos! I know of one in my area, but have yet to see it. That's a grumpy looking bird! Great find and great shots, I've enjoyed catching up. Stuning images and another great portrait, Mike. Very nice shots...I lived in Oregon for 16 years, never saw one of these spiffy guys. But then, was I looking? I think not. Fascinating markings on this bird! 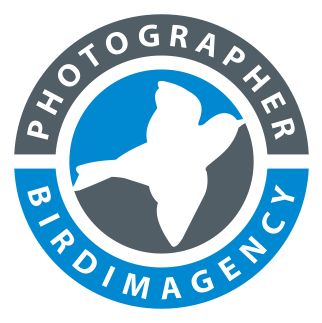 Fantastic pics , neat looking bird - I'm just starting out as a birder but the prairies where you are sound fantastic. Nick the colours on this Bird are stunning and the photo is tack sharp to :) well done! Cheers guys. A new update is coming soon ! Very pretty bird. Congratulations on your caputure! Hi! I am so glad that I found this site. This morning I heard a weird sound coming from my backyard. I looked out the window and saw a bird that I had never seen before perched upon my garage. It was the Chukar. It is a beautiful bird and I hope that it visits again soon! Hi Alycia , glad you saw the little guy. Hi Nick. No I don't live downtown I live on the westside, W south. The Chukar was here visiting again today. It didn't stay long though, I think it was sick of my curiosity and flew up on our roof and then onto our neighbours. Wow fantastic species and beautiful shots. It looks like the Grey or the red partridge we have in France. Is it from the same family?